It’s time to admit that Apple was right. Samsung’s Galaxy Buds vs. Apple’s AirPods: How do they compare on an iPhone? 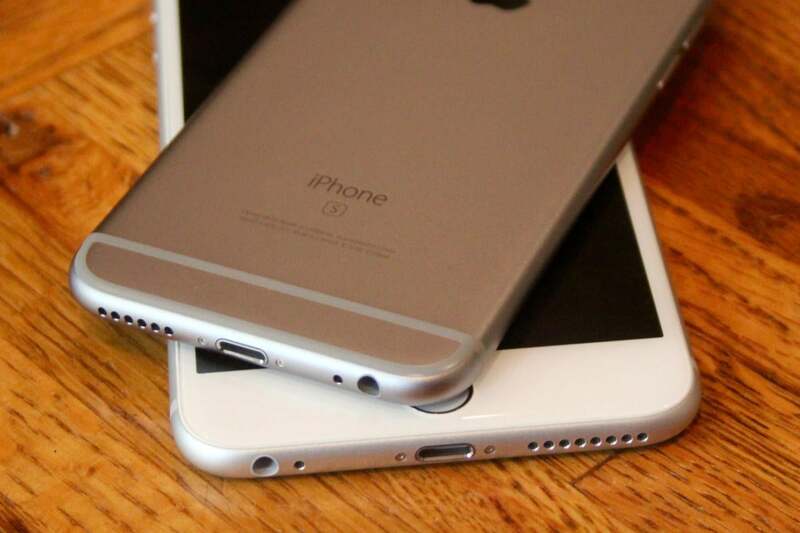 It was barely two years ago when we lamented the loss of the headphone jack on the iPhone. The iPhone 7 had just arrived with a gorgeous jet black color, a solid-state home button, and a dongle in place of the 3.5mm headphone jack. At the iPhone 7 introduction, Apple VP Phil Schiller talked about having the “courage” to make the change, to leave the headphone jack behind. At the time it was kind of cringe-worthy. Rather than try to convince the audience of the benefits of wireless charging or the annoyances of wired earphones, Schiller basically told the audience that they might not understand now, but one day they will. You could hear the snickers in the auidence when he said that removing the headphone jack required the “courage to move on and do something new that betters all of us.” It sounded ridiculous. All we could see was the inconvenience ahead. But you know what? He was right. 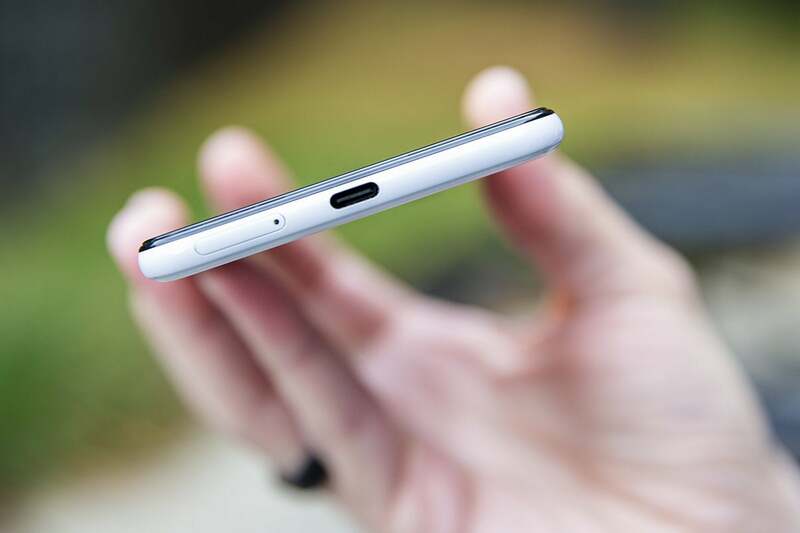 It might have sounded like the reality distortion field on steroids, but Apple’s decision to remove the headphone jack from its most popular product wasn’t a flippant design whim. It was the start of a new strategy that would bring convenience, simplicity, and downright delight. When Apple killed the headphone jack on the iPhone 7, it offered a consolation prize to anyone buying one in the form of a pair of Lightning EarPods and a free Lightning to 3.5 mm Headphone Jack Adapter. It wasn’t the greatest solution. Not only did you need to carry an extra cable, but plugging it in also meant you couldn’t charge your phone and listen to music at the same time. AirPods were the thing that no one saw coming, even after they arrived. And again, we doubted Apple. At their unveiling, AirPods looked goofy and seemed far too easy to lose, and the world wasn’t quite ready for them. We had just found out that the headphone jack was going away, and now Apple wanted us to buy into a $159 accessory that looked like it could get lost in a coin purse and fall out of our ears when the wind blew. But neither was the case, because Apple designed AirPods to be better than our old wired headphones. Easy synching. Smart ear detection. All-day battery life. Removing the headphone jack wasn’t solely for design purposes (although that surely played a part). Apple wanted its users to get on board with its wireless plan as quickly as possible, so what better way to do that than by making the old way seem clunky and antiquated. Now that we’re a couple of years removed from the shock of the headphone jack’s removal, Apple has proven that its plan was smart—so much so that no one even batted an eye when the iPad Pro arrived without a 3.5mm port. It’s just like it was with USB or the optical drive. Apple didn’t wait for the mass adoption of the technology, it took a risk and it paid off. Eventually the rest of the industry caught up, and we never looked back. Google’s Pixel phone hasn’t had a headphone jack for two generations now, but the company’s wireless strategy isn’t nearly as fully baked as Apple’s. One day it’ll be the same with the headphone jack. Plenty of Android phone makers are trying, but they don’t quite have the discipline and sticktoitiveness that Apple has. Google stripped the headphone jack from the Pixel 2, but the $159 Pixel Buds aren’t a worthy replacement, even with built-in translation. Essential never even sold a phone with a headphone jack, but months later it capitulated and made a $150 Audio Adapter HD with a “high-resolution ESS Sabre DAC with MQA support to deliver master quality authenticated audio.” The only company that’s really made a legitimate set of wireless earphones is Samsung with the Galaxy Buds, but its newest phone, the Galaxy S10, is still clinging to the past with a 3.5mm port on board. It’s not unlike the notch. When the iPhone X came out, people all around the net pointed and laughed at Apple’s brazen design, but barely a year later, it’s hard to find an Android phone that doesn’t have one. And soon enough it’ll be the same with the headphone jack. 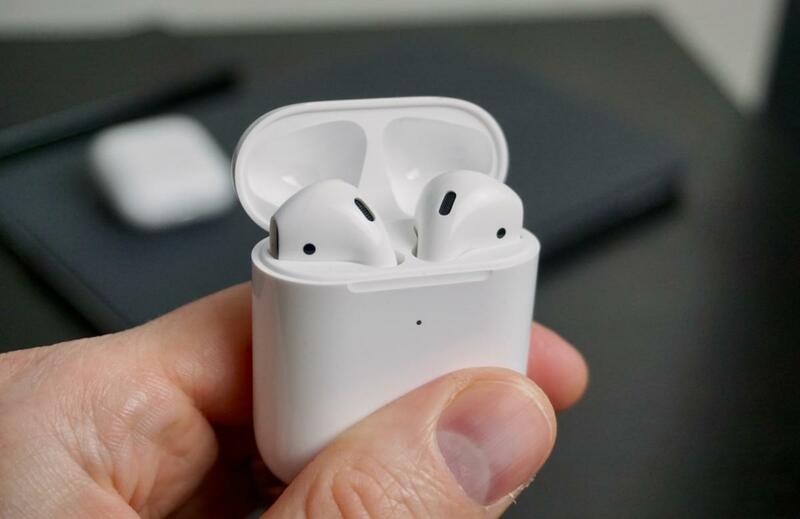 Apple has shown us all how much better living in a wireless world can be, and once everyone else figures out how to make their own version of AirPods that are as seamless and simple as Apple’s, we’ll wonder how we ever lived with wires sticking out of our phones. AirPods is the rare product that exploded immediately and doesn’t really need regular updates to stay relevant. Part of it is because Apple is so far ahead of its competitors with AirPods, but it’s also because Apple kind of nailed it on the first go. Like the iPod, which made everyone want white cords dangling from their ears, AirPods make us all want to cut the cord for good. 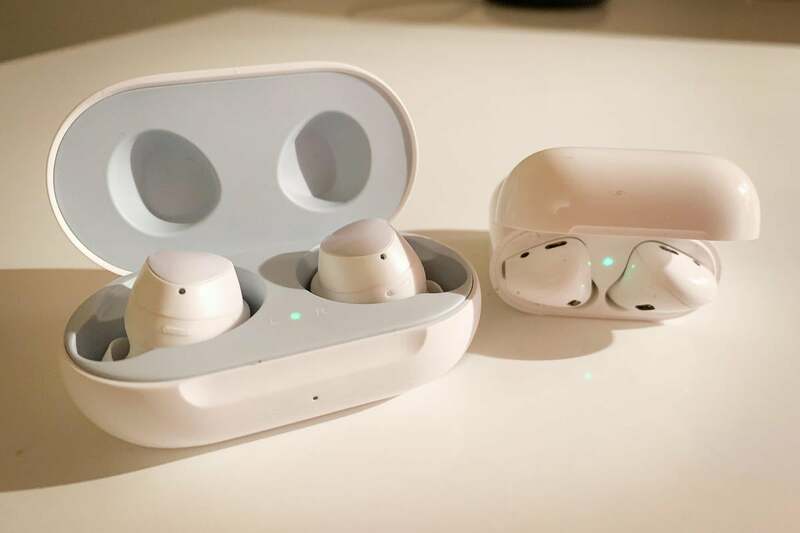 The Galaxy Buds are similar to Apple’s AirPods, but Samsung hasn’t really given S10 owners a reason to buy them. For the second generation, which took more than two years to release, Apple didn’t change much. A new H1 chip makes connectivity faster, talk time was extended by about an hour, and tap-free “Hey Siri” was added. And most importantly, the long-awaited wireless charging case arrived, just in time for rumors that the next iPhone will have a feature that lets you wirelessly charge another device by resting it on the back of your phone. And when it arrives, Apple will make it sound like it’s a brand-new feature. Samsung and Huawei fans will laugh and remind everyone that they’ve had the same feature on their phones for months. But Apple’s wireless strategy is bigger than charging (insert AirPower joke here). The fact of the matter is, every other phone maker wants to offer the same wireless experience that Apple does with the AirPods and iPhone. But only Apple had both the courage and the foresight to execute it. Now, if only they would include a pair with the iPhone XI.